Most of all, it rewards patience: it’s a non-linear series, constantly recontextualising scenes from another perspective as seemingly random side characters suddenly take focus. Slowly but surely, things start to make sense, yet it still leaves us with questions that may never be answered. 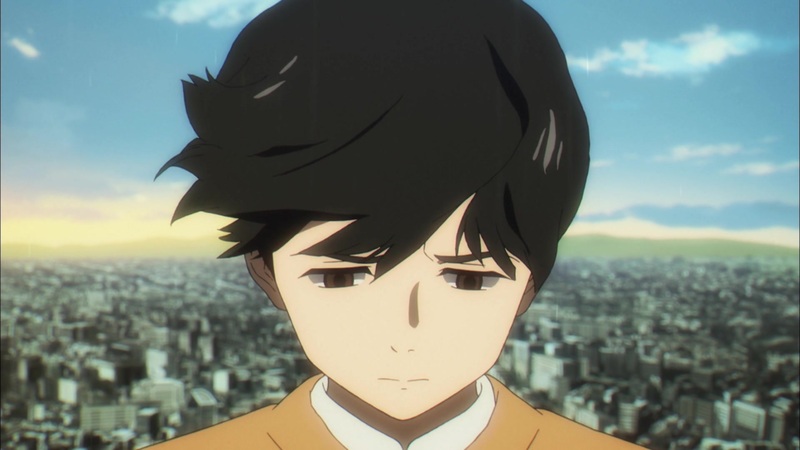 Where is Boogiepop from? By whom was Echoes sent to Earth in order to judge humanity? How is a Synthetic Human made? That enigmatic quality is a large part of Boogiepop’s charm. The Boogiepop at Dawn story arc begins with Boogiepop and Echoes meeting in a strange place: the sky is red and there is rubble everywhere. Could they be wandering through a post-apocalyptic Earth millions of years into the future? We never find out and it’s probably for the best that we don’t: the truth is never as interesting as what we might imagine. From an anime production point of view, the series doesn’t quite hit the heights I was hoping for. Shingo Natsume and his team are of proven quality: from Space Dandy and One Punch Man to ACCA 13, these are memorable anime with a spark that’s sorely lacking in Boogiepop and Others. It isn’t badly animated or anything, it just looks generic and tired, which only exacerbates how difficult it is follow when every character is so deadpan. This is total speculation on my part, but I can’t help but think that the controversy sparked over (light novel artist) Kouji Ogata’s distaste for the anime’s designs affected director Natsume and his team’s enthusiasm for the project. Imagine being hard at work on a project you hope people will love, only to be publicly criticised for what amounts to a creative difference? It would be hard not to lose heart, and it’s also notable that the anime’s brilliant trailer has action scenes that never appeared in the series itself. 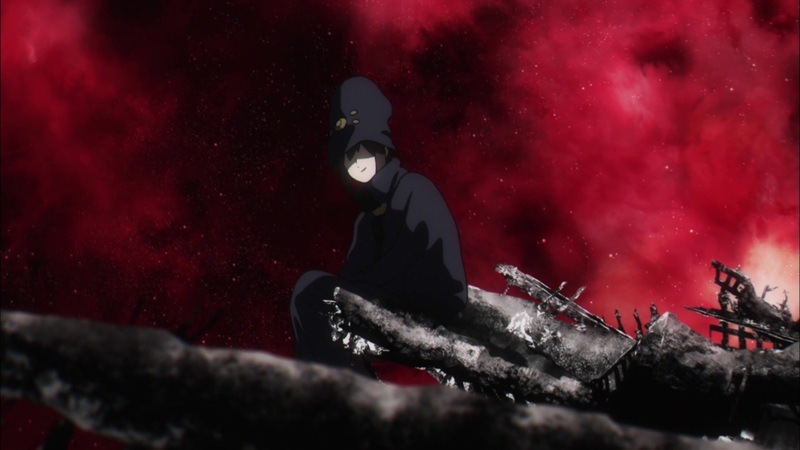 Even still, there are moments when Boogiepop springs into life: there’s a particularly evocative scene in the last episode that sees a character falling from a great height, I only wish that the whole anime was as cinematic. However, I’ve no complaints about the soundtrack, Kensuke Ushio’s work is as wonderful as ever: he swept me away into another world and largely saved the series for me. And that’s my take on Boogiepop and Others. It’s a perfectly fine anime that had the potential to be great. If nothing else, listen to the soundtrack! I totally get where you’re coming from, but personally, I enjoyed the cryptic, uneasy nature of the production. 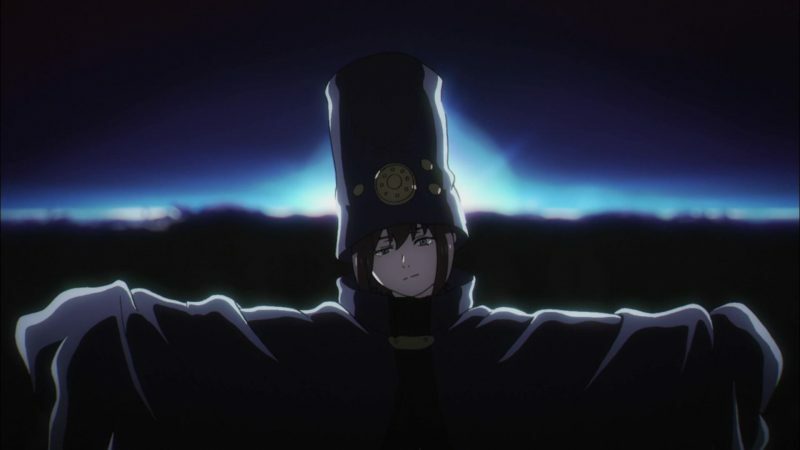 In particular, I thought the Boogiepop at Dawn arc was fantastic, and its first episode, episode 10 of the anime, is easily my favorite single episode of the year so far. I felt that episode, and that arc, crystallized that the show isn’t all just navel gazing and ambiguous koans, but can actually express some pretty profound emotion. I watched the original adaptation of Boogiepop years ago, and remember nothing of it, but I suspect I’ll remember this one for awhile. I get where you’re coming from too, and also totally agree on Boogiepop at Dawn. It was easily my favourite arc as well. Sadly, I felt like The King of Distortion was the worst and that left a slightly bitter aftertaste. I would gladly watch a sequel… I just wish it was all as good as Boogiepop at Dawn.